This book uses a cool learning system. Learn Italian today. Get started now. Just make sure you follow along with the ebook version which is included for free with the purchase of this audio. I love this learning book. 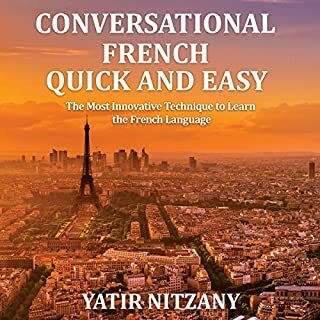 Its exactly what i need to learn French. Can't wait to take it on my trip. 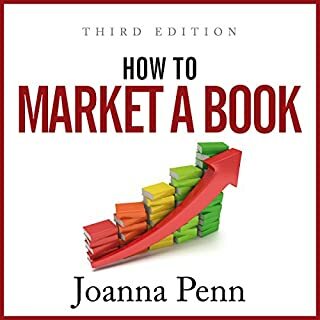 Very helpful when combined with the ebook. I have a couple of other French books and this is my favorite. Make sure you constantly practice and repeat what you learn here. 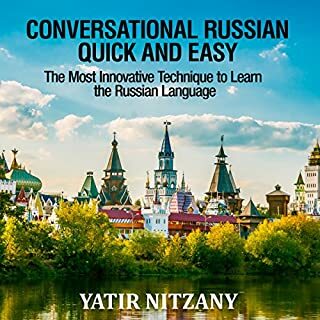 I have travel plans to Russia for a short visit this Summer and I wanted to learn some Russian prior to going. This was my first book from the Nitzany method and I am very excited. What I found wonderful is a combination of words and sentences, if you memorize the 350 words, you will have the best basis for becoming fluent in a language. 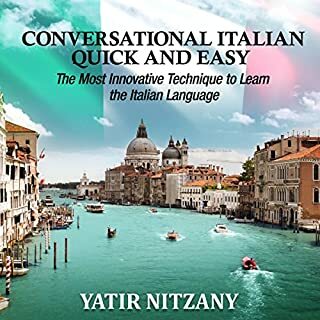 Unfortunately the actual book doesn't focus too much on pronunciation HOWEVER this audio book DOES since the narrator is a native, thats why i purchased it. Either way i find the book and this audio version amazing so far.